The Office of Personnel Management didn’t make much progress reducing the retirement claims backlog in August, according to the agency’s latest numbers. 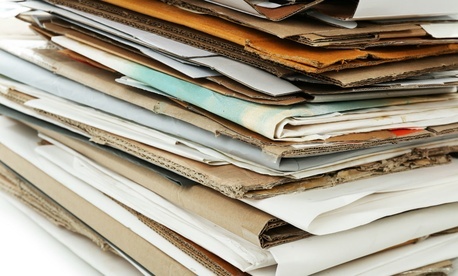 The backlog stands at 16,350 applications, down just 105 claims from July. 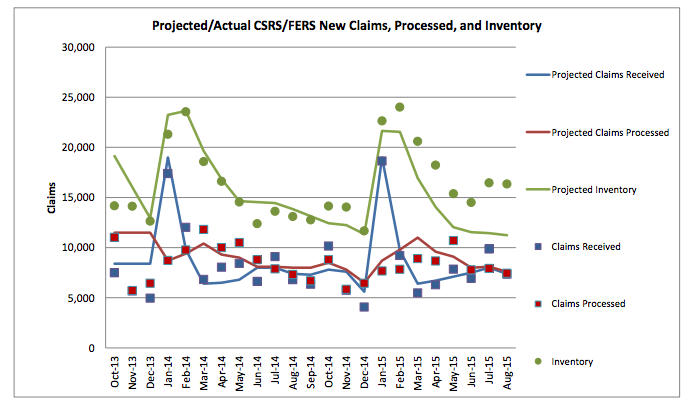 OPM processed 7,446 retirement claims in August – 154 claims short of its goal for the month. The agency received 7,341 new retirement claims in August – 546 more applications than it received in August 2014. The backlog grew by nearly 2,000 applications between June and July, a setback for OPM, which had been steadily chipping away at the number of pending claims since March. Retirement claims typically spike in January, and then settle to lower levels for the rest of the year, but the number of new applications submitted varies from month to month. In October 2014 for instance, OPM received 10,155 new applications, 2,355 more claims than it expected. The governmentwide automatic budget cuts will return in full force in October, unless Congress repeals them in September. Sequestration likely will put a strain on OPM’s ability to pay overtime to claims handlers, or hire new employees to tackle the work. A government shutdown if Congress cannot agree on funding for agencies before Oct. 1 would also hinder OPM’s efforts to get rid of the backlog. Clearing up the retirement claims backlog has been an ongoing struggle for OPM and a constant source of frustration for federal retirees and members of Congress, who hear lots of complaints from their constituents. OPM originally attempted to eliminate the backlog by the summer of 2013, but the onset of sequestration that year forced the agency to scale back its ambitions. OPM has predicted it would decrease the number of claims by September to 11,042 claims, though that target is highly unlikely at this point.